We are creative, compassionate and fearless. Since 1981, we have won more than 50, million- and multi-million dollar verdicts and settlements for victims of medical malpractice, environmental disasters, trucking and vehicle collisions, product defects, dangerous premises and a vast range of personal injury cases. Each success has helped an injured person and their family to cope with their post-injury lives. We know that some injuries, like severe burns and wrongful death, have major effects on families. We have guided our clients through the process of challenging the legislature, insurance companies, employers, and other powerful entities. Our cases have questioned certain areas of the law. We have exposed unfairness and been instrumental in changing the law for the benefit of injury victims. Not all cases go to trial, but we know that our reputation as one of the finest trial law firms in the Midwest is a powerful negotiating tool when it comes to achieving favorable settlements. Through thorough and competent client representation our legal team has earned the respect of our peers in the legal community. To our clients, we are their lawyer, teammate, and trusted friend. We stand beside them and demand compensation. We are their champions for justice. For decades firm founder Don Schlapprizzi has mentored and worked with many accomplished lawyers. The legal team he assembled at Schlapprizzi Attorneys at Law treats each client with empathy and sensitivity but represents their case with determination and force. Over the years, Don has passed on his dedication to the law, his integrity and his Christian values to new generations of attorneys and to his children. Craig and Toni Schlapprizzi, both graduates of Washington University School of Law, practice alongside their father. Louise Pratt, a veteran paralegal with experience on both the plaintiff and defense side, joined the firm in 2014. She is an integral part of our legal team because of her devotion and steadfast effort for every human being we represent. Sara Balsitis is a stand-out paralegal and individual. She interned with our law office while completing a full-time paralegal program in the fall of 2015. She joined our firm full-time bringing her intellect, values, and compassion to our work. Sara has proven to be an indispensable asset to our team. Every member of the firm is committed to offering a people-centered practice in which we team with our clients to achieve justice. At Schlapprizzi Attorneys at Law, our goal is to secure justice for individuals who have been injured by the carelessness of another person or entity. For more than 30 years, we have upheld our pledge to secure the greatest financial benefits available under the law. Through our creativity, persuasiveness, and ability to overcome seemingly impossible obstacles, we have helped thousands of people recover the funds they needed to cope with life after their injuries. 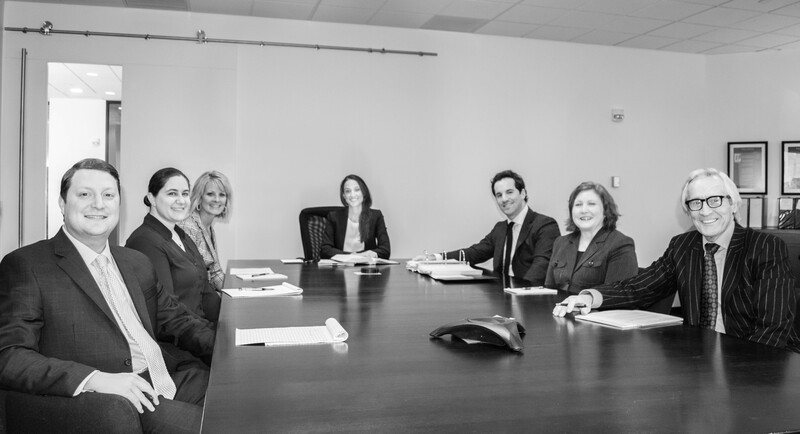 Our attorneys are skilled trial lawyers, but we are also your teammate, trusted friend and champion for justice. We are proud of our successes in virtually every area of personal injury law–from workplace burn cases to medical malpractice suits. We aggressively and vigorously represent your interests with compassion, honor, and integrity at all times. We involve you in every decision because we are acutely aware of your wishes and needs. Through efficiency and diligence, we will work to secure the fairest and most beneficial results. Our legal team is of the best and the brightest. We give you our personal attention every step of the way. Our fees are results based, therefore we are paid only when we win your case.